I’m impressed that Goodles always comes up with new food offerings for its customers. Hubby and I wanted to have light snacks before watching a movie last December 2012; we went to Goodles so hubby could have his favorite Garlic Shrimp and Chorizo pasta. My attention, on the other hand, was diverted to this poster nestling comfortably on Goodles’ counter. Curiosity got the better of me, and I simply had to try out their Cheesy Spinach Dip, so that’s what I ordered. The Cheesy Spinach Dip was yummy, and the toasts were really crunchy. It was a delightful combination! 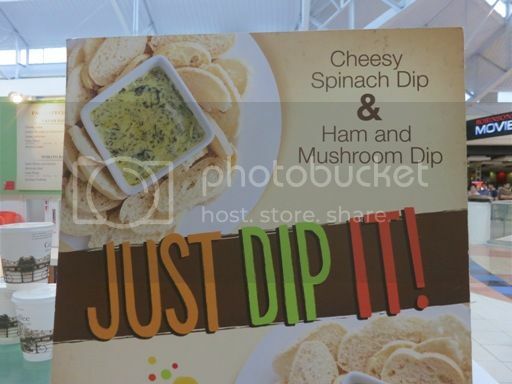 Now, I wonder what the Ham and Mushroom Dip tastes like. 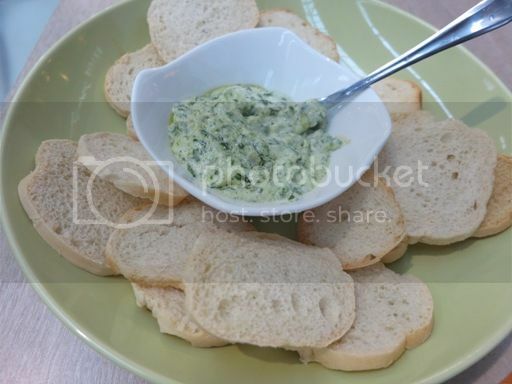 This entry was posted in Cheesy Spinach Dip, Goodles, Italian Cuisine. Bookmark the permalink. oh dear, I’m a big fan of dips. That one from Goodles is simply a must! Happy New Year, happy FTF as well! happy 2013 to you and to your family!! this reminds me of hubby bec it’s his favorite dip for nachos while watching superbowl.